"Christianity's two millennia of killing and pillaging. Indispensable!" The Columbia Review. This is not a book for the fainthearted. As human beings, we are prone to taking sides, fighting, discriminating, and also creating the most beautiful ideas, works of art, and life-saving inventions. Perhaps it is not a coincidence, therefore, that all of the above–human folly and human wonders–find striking expressions in the history of religion. Sadly, no religion has escaped the bloody phase–the ancient Israelites fought, killed, and pillaged before evolving (through a painful exile) into a religion of learning, creativity, and humanism. 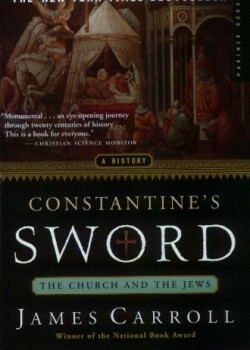 Christianity, as this book so aptly portrays, has gone through its own two millennia of killing and pillaging, before grotesque excesses of the Holocaust provided a measure of shock-therapy, bringing the Roman Catholic Church and its sister Christian denominations to the present era of civility and charity. At present day, Islam seems to be going through the bloody phase still, but is already evolving in many parts of the world into a civilized, humanistic religion dedicated to the positive and creative inclination of its adherents. With this in mind, as a reader of this deep, detailed, and honest book, one must take a step back from personal misconceptions and accept the historic facts so ably presented here. The reward for the open-minded reader is to emerge with a mature and measured appreciation for the good that Christianity brings to the world today, despite its very troubling past. I recommend it strongly for anyone interested in human history.